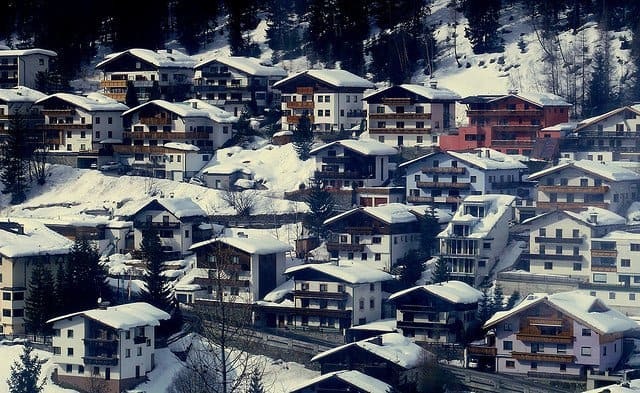 St. Anton am Arlberg is a world-famous ski resort with a long history. Being located in the Austrian Alps, it is one of the most famous sports centres of this country. Along with the resorts of Lech, Oberlech, Zürs and St. Christophe, St. Anton is a part of the Arlberg ski area. Also, it belongs to the Best of the Alps groups that represent star resorts for winter holidays. The altitude of the resort ranges from 1270 to 2811 meters, which guarantees snow throughout the entire season. St. Anton bristles with luxurious top-notch accommodations. At the same time, it offers various middle-class hotels and decent apartments. The region is dominated by slopes for experienced skiers while there are fewer options for beginners. The complexity of many routes is understated in the guides. Totally, St. Anton has 305 km of slopes and 200 km of pistes that are served by 89 lifts. Mariborskoe Pohorje is located on the outskirts of Maribor, the second largest city in Slovenia. The Pohorje skiing area, which is set in a centuries-old coniferous forest, has 43 km of trails. It is considered to be the largest in the country. The resort is a real paradise for beginners and children. It features wide, perfectly smooth and almost always deserted slopes, as well as leisurely lifts and various restaurants with cheerful music. Mariborskoe Pohorje offers original entertainments outside the trails, which will be interesting for big companies and tourists with children. 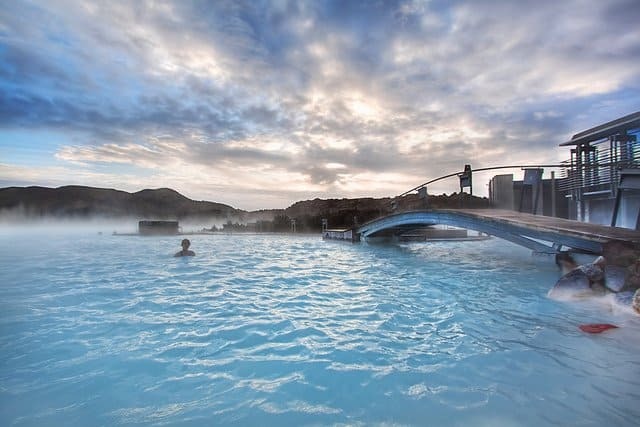 More conservative vacationers can enjoy cross-country skiing and bathing in thermal springs. The resort is able to make an unforgettable impression on the connoisseurs of fine wine and cuisine. The local vineyards are among the oldest in Europe. The white wines Mariborčan and Lisičkino vino, as well as the sparkling Penina Royal, are the pride of the region. Tignes is located high in the mountains and, together with Val d’Isere, represents a vast ski area called Espace Killy. Tignes is a relatively young resort. Its construction began in 1952 when the ideas of so-called ski stations were especially popular. Therefore, Tignes may not seem to be very comfortable for those who are used to small alpine chalets. You will have to live in multi-story buildings that do not harmonize with the surrounding landscapes. On the other hand, the entire infrastructure of the resort is very convenient and compactly located and the prices for accommodation are moderate. 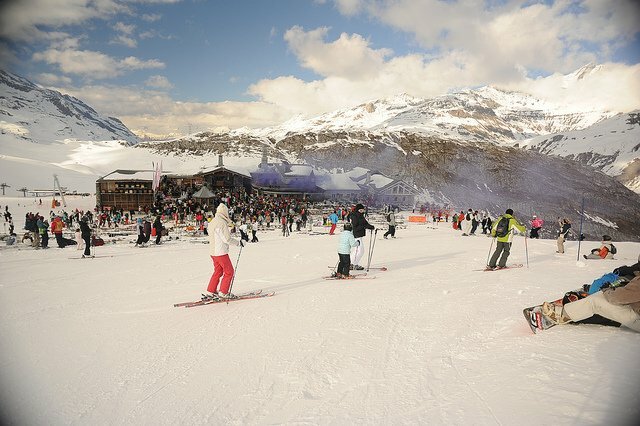 Tignes provides 300 km of ski slopes, almost 200 km of which are for beginners. A giant glacier Grande Motte sits right above the resort, making it possible for the year-round skiing. The glacier houses blue ski slopes perfectly suited for carving. Free-ride fans will find appropriate slopes between Col de Ves and the Col du Palet. The sunny southern slopes above Tignes Le Lac host a gigantic snowpark. 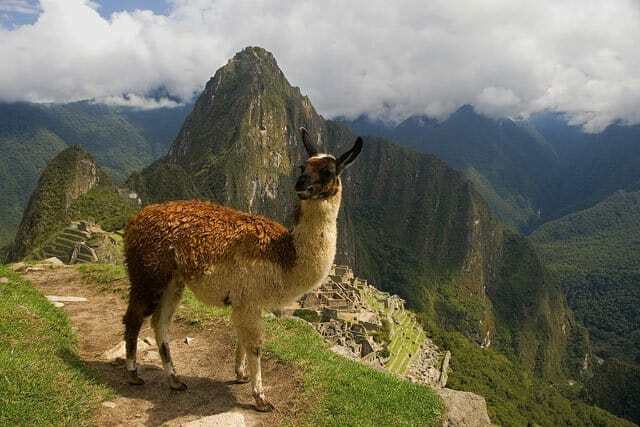 Its length is almost 2,5 kilometres with an elevation range of 500 meters. Every year it holds the world snowboard and freestyle championship. For more information on skiing in this beautiful resort head over to the Mark Warner website. Hohenbogen is one of 16 ski resorts located in Bavarian Forest. The top point of the resort is situated at an altitude of only 1050 meters (vertical prop is 393 m.), therefore winters are normally mild here. The ski season lasts from early December to late March. The Hohenbogen ski resort offers 7 trails with a total length of 6 km, 2 km of which are designed for beginners. 3 lifts will help you reach the slopes. In general, the resort is focused on families with children and elderly tourists. Several ski schools teach the basics of skiing and snowboarding. Skiers can also benefit from 50 kilometres of cross-country trails. The Meribel Ski Resort is located in the centre of the famous Les Trois Vallees (Three Valleys) region. It consists of four main and several tiny villages scattered along the forest slopes. The liveliest part of the resort is the central Meribel (1450 m). The lifts go in all directions from here. The village boasts a large Park Olympic sports complex, Olympic skating rink, swimming pool, 2 cinemas, and even an observatory with a planetarium. 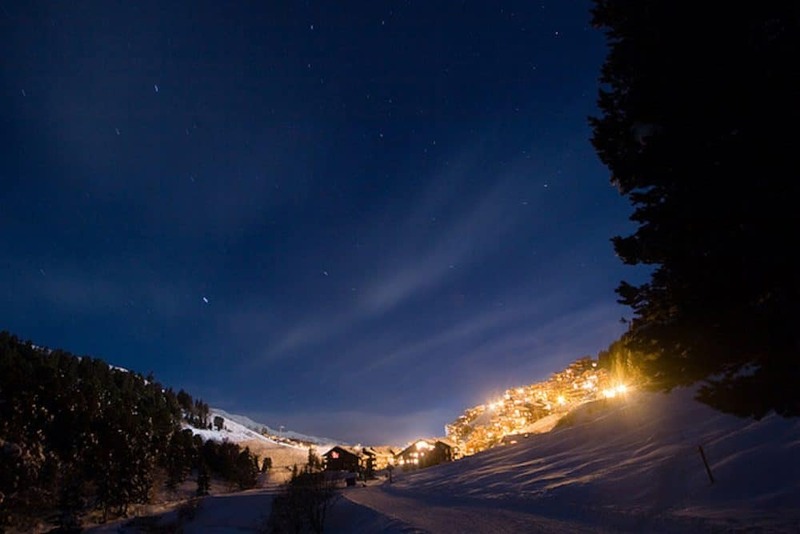 Meribel-Mottaret is located higher up the slope of the valley (1750 m.) and will suit the buffs of luxury and comfort. In general, Meribel is rather an expensive place. If you are looking for a more budget-friendly option, welcome to Meribel Village (1400 m), a modest hamlet two kilometres away from the central part of the resort. The valley supplies 150 kilometres of slopes with various difficulty levels. The lower part of the eastern slope accommodates a slalom stadium. A famous black piste Face, built for the 1992 Olympics, is situated nearby. Saalbach and Hinterglemm are two ski centres that are located along the Saalach River 4 kilometres from each other in the upper part of the Glemm Valley. The resort features a well-thought system of pistes and ski lifts. No matter where you live, in Saalbach, Hinterglemm or in a budget-friendly hostel between them, you can reach any point of the valley from anywhere in the mountains and go back without taking your skis off. There is also a free shuttle bus. Due to low altitudes, it is rarely too cold in winter but the snow normally lasts till the middle of April. The tops of all nine major peaks of the region accommodate extensive snowfields, below which pistes are laid in the forest. Saalbach – Hinterglemm is an excellent option for beginners. Here you will find eight ski schools and all the training slopes are located next to the villages. Black pistes for experts sprawled on the northern slopes of Schattberg Ost (2020 m) and Zwolferkogel (1984 m). The resort lends100 km of off-piste skiing but the complexity of most routes are not high. Villars, Switzerland, is one of the oldest ski centres in the country and one of the best Alpine resorts for families. 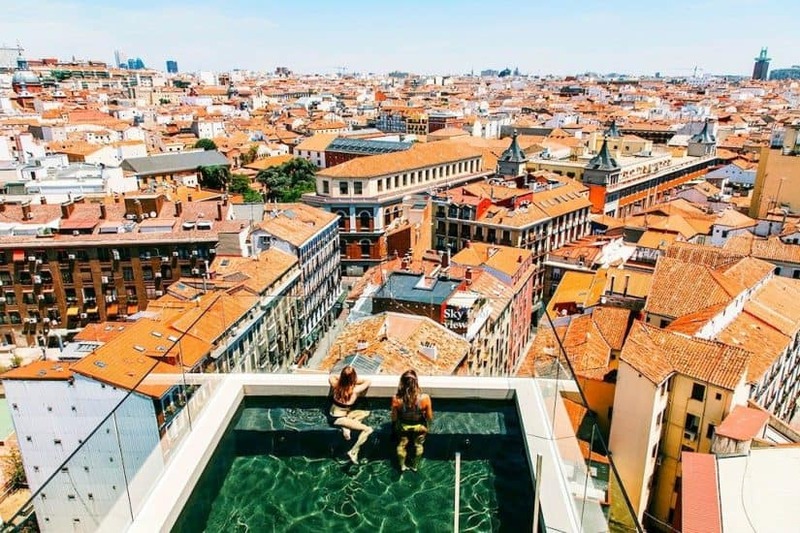 It combines a cosmopolitan atmosphere, historical traditions, and modern service. 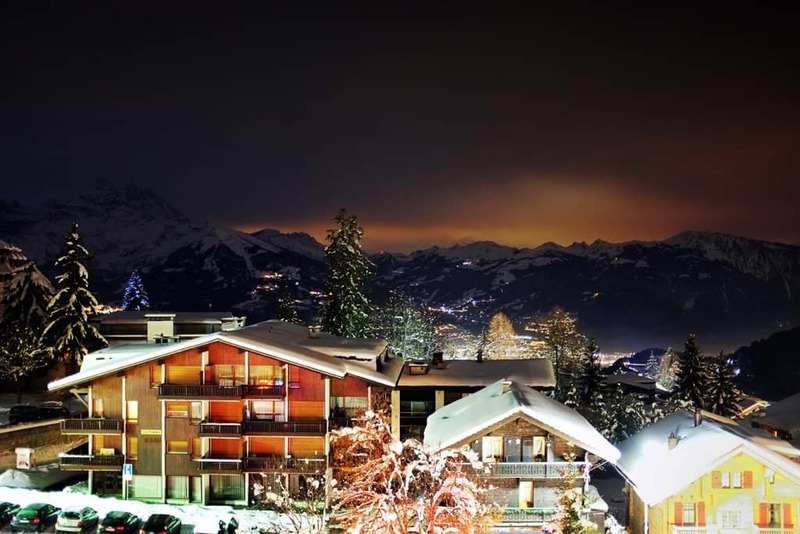 Villars is located at an altitude of 1300 m directly above Lake Geneva and is surrounded by the majestic Vaudois Alps. You can get to Villars by a mountain train or gondola that departs from Lake Geneva. 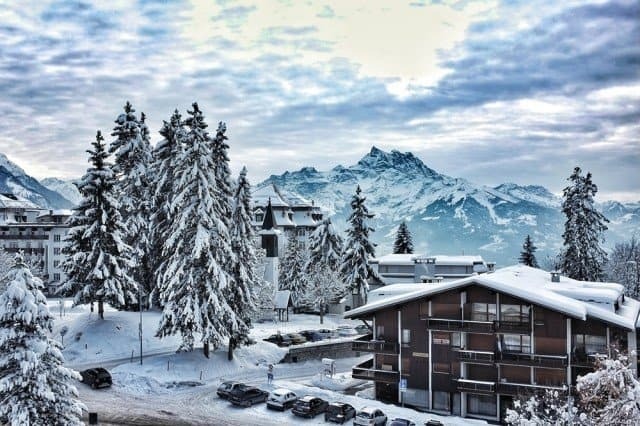 77 ski lifts connect 4 large skiing areas together: Villars, Gryon, Le Diablerets, and Glacier 3000, which is suitable for skiing even in summer. The regions offer 230 km of trails, which are united by a single ski pass. The ski area of Villars itself is spread over three peaks: Le Chamossaire (2120 m), Petit Chamossaire, and Chaux Ronde (1987 m). The slopes mainly provide red and blue trails perfectly suited for middle-level skiers and beginners. Another feature of Villars is slopes covered with picturesque coniferous forest, which attracts off-piste skiers. Villars boasts 50 km of cross-country skiing tracks, 4 fun parks for snowboarders, as well as ski and snowboard schools. What a nice ski area in Europe !